Take a shot - literally! 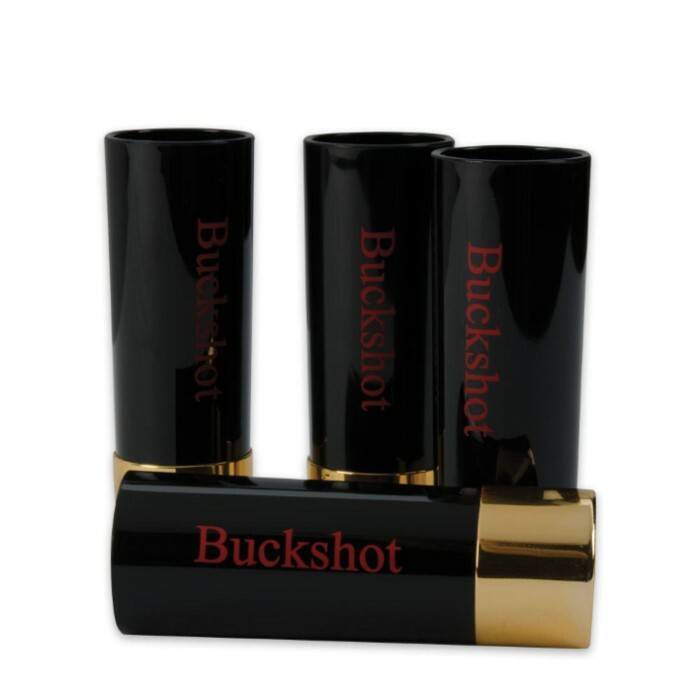 Designed to mimic the look of 12-Gauge Shotgun Shells, these shot glasses will add some flare and put some power behind any shot. Set of four shot glasses. Bought two cases and gave them to my friend who is going away to the USMC. I should have kept one case for myself. These things are awesome and bigger than your average shot glass.